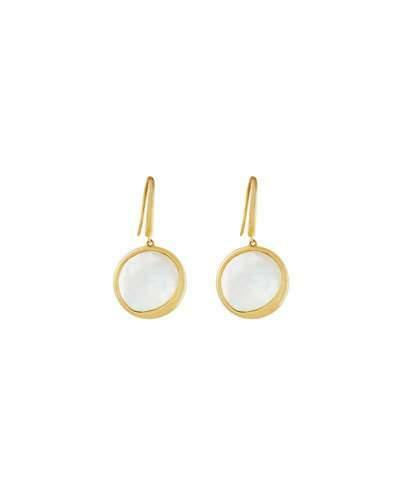 Lana small Satin disc drop earrings. Polished 14-karat yellow gold. Mother-of-pearl inlay center. French wire for pierced ears. Approx. 1.2L drop.